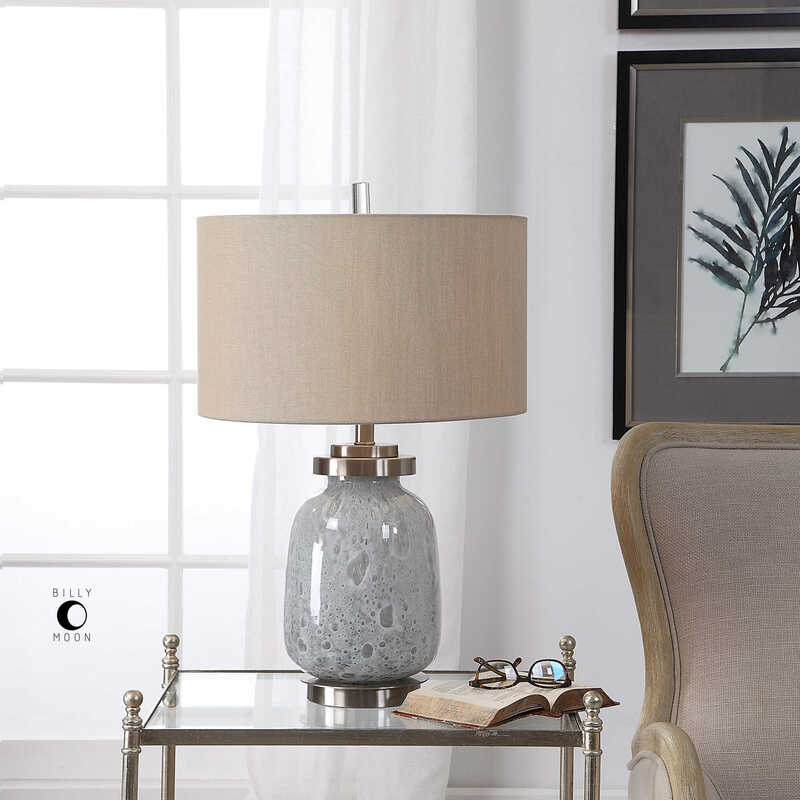 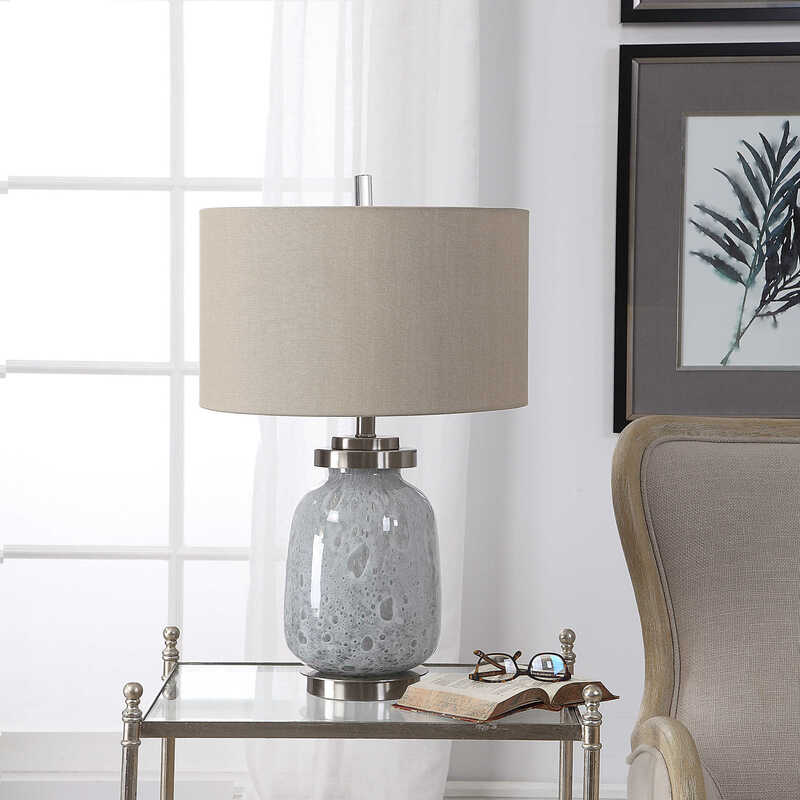 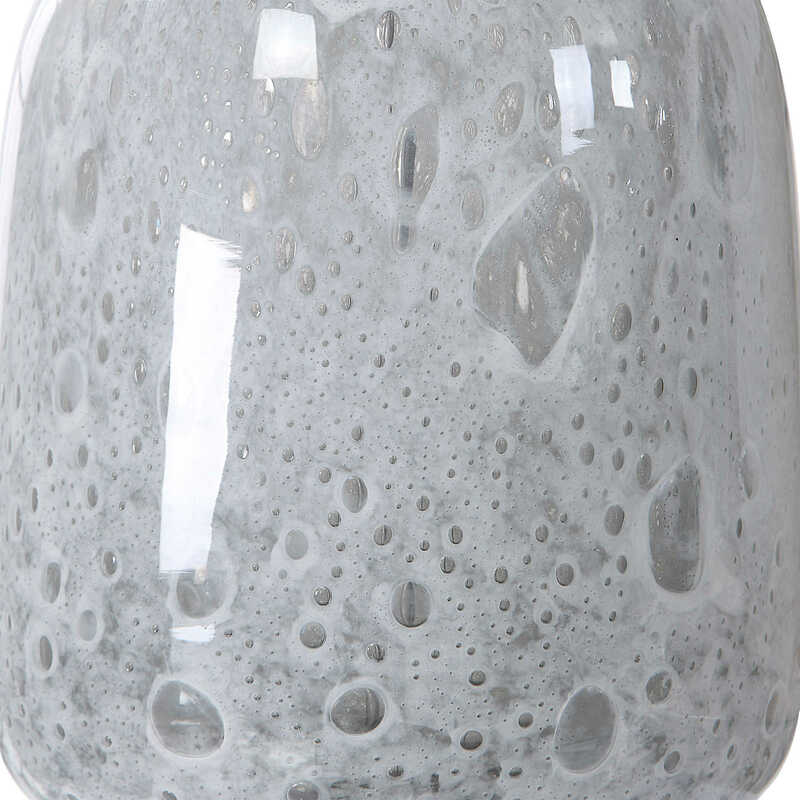 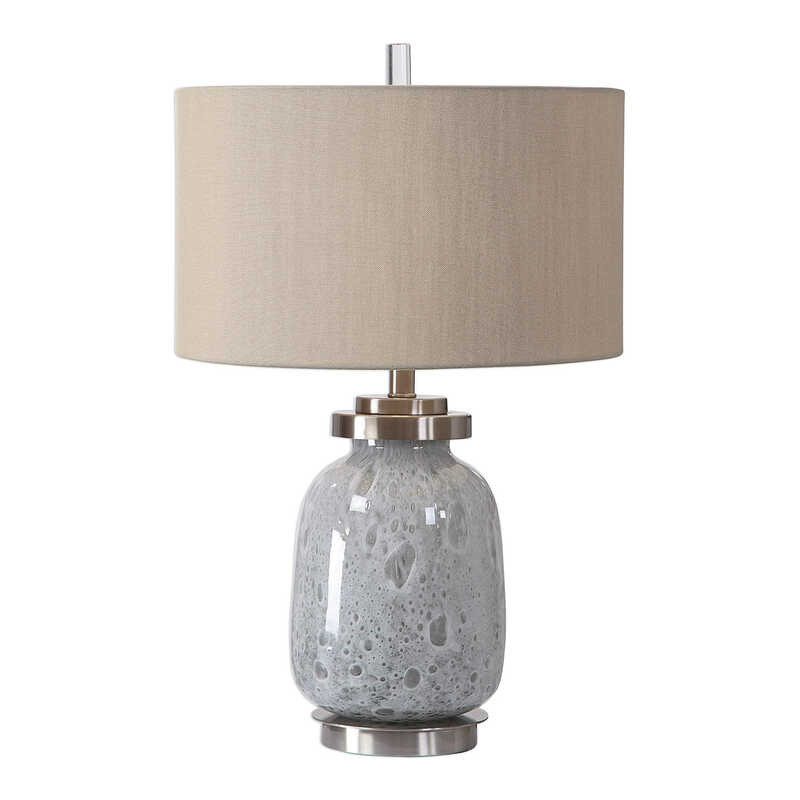 Handcrafted from blown glass, this table lamp will bring a unique style to any room. 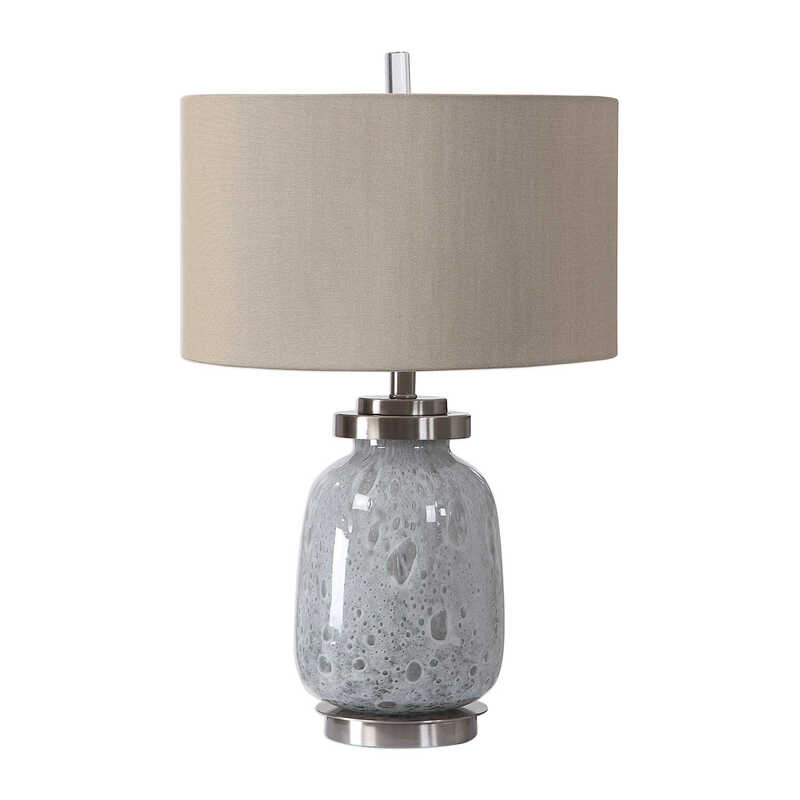 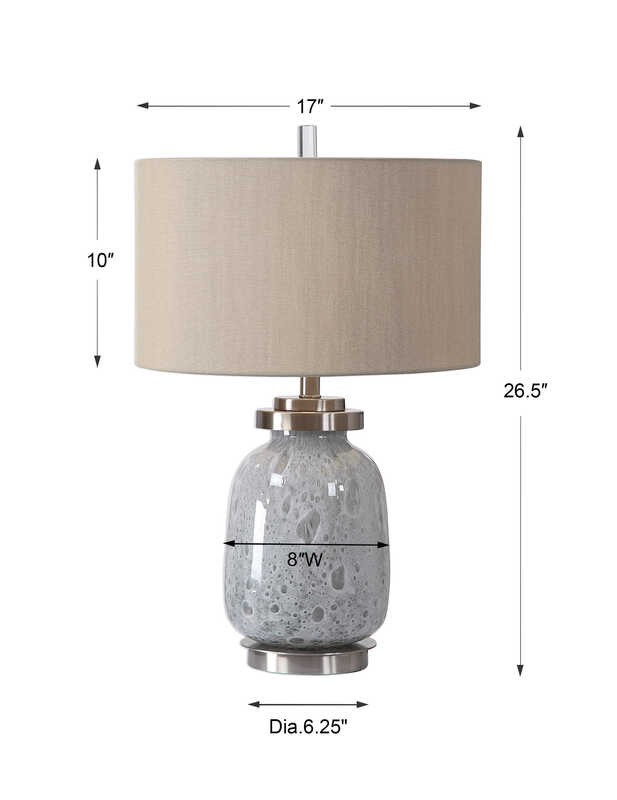 The glass features a blue-gray seeded appearance that's paired with brushed nickel plated accents and a petite crystal finial. 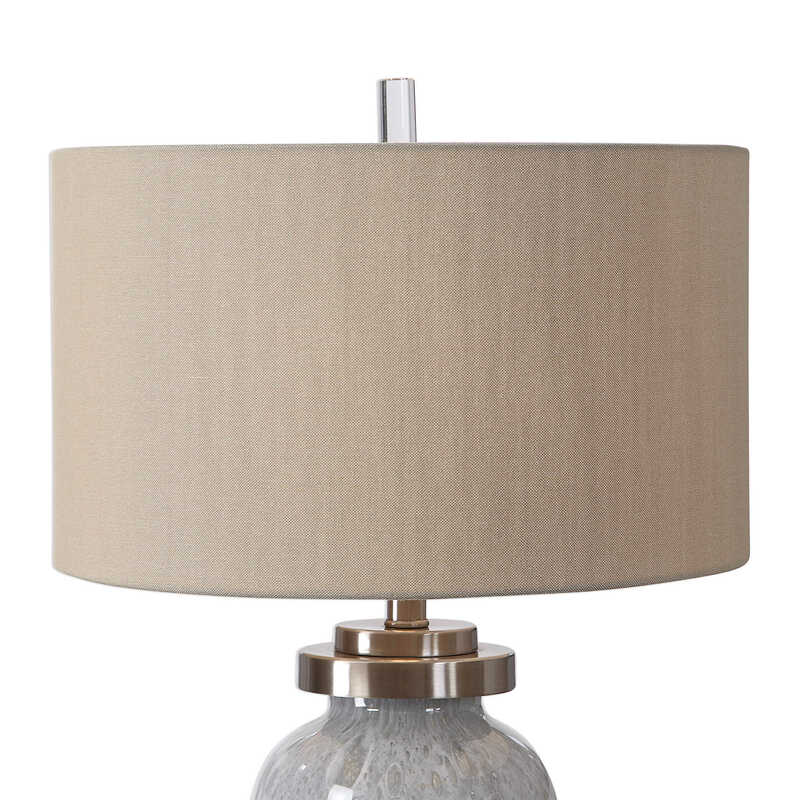 A hardback drum shade in beige linen fabric completes this piece.